There is a reason that the Ford F-150 is the best selling truck in American history, and one of the best selling vehicles of all time, period. For decades, it has embodied the toughness and strength that pickup truck owners look for. No matter what job you have to do, be it hauling, towing, off-roading the Ford F-150 has always been up to the challenge. The 2019 Ford F-150 is certainly no different than its ancestors. 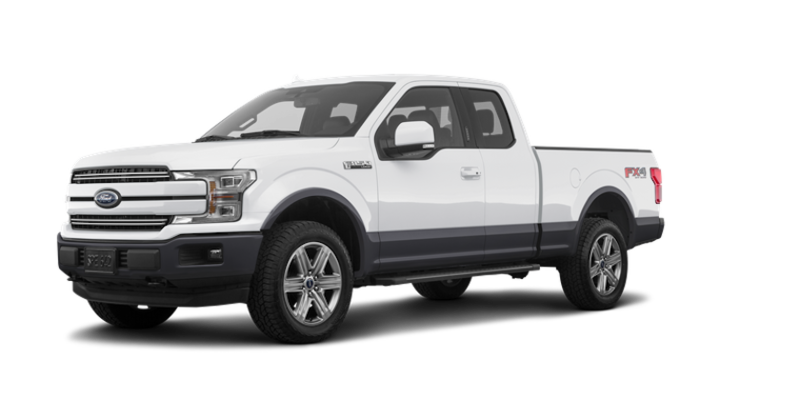 Apart from streamlining curves and lines to keep with the modernization of vehicles, the Ford F-150 has not changed much over the years. It still prides itself on hard work and dependability, catering itself much more towards the working class than any luxury market. While the 2019 Ford F-150 does have certain modern comforts that you may find in many modern cars, trucks, and SUVs, it retains the Ford identity of utility for utility’s sake. The 2019 Ford F-150 carries a best in class 15 miles per gallon in the city and 26 mpg on the highway, which is the best fuel economy in its class. With gas prices creeping higher and higher, and with no signs of slowing down, truck users who spend a lot of time on the road certainly weigh fuel economy as a purchasing factor. Additionally, the MSRP of only $28,155 is well manageable for a new purchaser. Below, we will look at available engines, safety features and trim levels of the 2019 Ford F-150. You will be able to see for yourself how this iconic pickup truck lives up to its legendary high standard. After you are better informed, you can head down to King’s Ford here in Cincinnati and check one out in person. The base engine of the 2019 Ford F-150 is a 3.3 liter V6 capable of 290 horsepower and 265 lb-ft of torque. Even at its base, this truck can tow 5,000 pounds. That is more than capable of a most moderate hauling and towing. But that is only one of five available engines on the new F-150. At higher trim levels, you get even more power under the hood. The 2019 Ford F-150 also offers an available turbo V6 engine for a higher workload. This engine comes with a 10-speed automatic transmission, which more easily and efficiently carries the large loads. This engine gets up to 325 horsepower, despite being only 2.7 liters. The twin-turbo V6 is the real heavy lifter. It gets p to 450 horsepower and 510 lb-ft of torque. This one has the capacity to tow a whopping 12,000 pounds. This one is only available on certain trim levels, however, so be aware of which trim you look at if this is the engine that you want the most. The largest engine on the 2019 Ford F-150 is the 5.0 liter V8. While not the most powerful or fuel-efficient engine in the new F-150’s repertoire, it is nonetheless an old standby that Ford will still offer. It would be a crime to American pickup truck engineering to offer a truck like the F-150 without giving you a V8 option. Still, it is no slouch. It has 395 horsepower and plenty of pull. Last but not least is the turbo diesel engine. This engine is a 3.0 liter V6 Power Stroke diesel engine that gets comparable power to the smaller F-150 engines but gets up to 30 miles per gallon on the highway. For truck drivers who have considerable commutes and still need the capacity to haul and tow large amounts, the diesel engine might make better sense in the long run. As you can see, the 2019 Ford F-150 offers no shortage of engine options. Furthermore, due to the F-150’s nature as a working man’s vehicle, you’ve got a lot of options depending on what exactly is the nature of your work. Remember, however, that these engines are only available on certain trim levels. The 2019 ford F-150 offers seven different trim levels, each with standard and available packages. The base level, the XL, is just that. It is the bare bones truck with the aforementioned base V6 engine and standard amenities. The XLT is the level above the XL, and it comes with several more standard features than the base XL. Among those include Android and Apple mobile device connectivity, front fog lights, front tow hooks, power mirrors and much more. The King Ranch is the next level up and the trim where you really start seeing more interior comforts. Leather bucket seats add to the overall comfort level of the front seat passengers. The interior trim also combines leather with wood and alloy for a slick looking finish. SiriusXM radio and Sirius XM Travel Link are also available, along with a 9-speaker sound system. This trim also features the touchscreen navigation system, for easier trips between A and B. This is also the first available trim level for the 5.0-liter V8 engine. The Lariat trim level offers the 2.7 liter EcoBoost turbo V6 engine. Some of the many available features include the touchscreen infotainment system with an 8-inch display, steering wheel controls and front seats that can be both heated and cooled. It offers blind spot monitoring with rear cross traffic alerts, helpful for those that have trouble seeing around the boxy end of a pickup truck. It also has a standard 110-volt power outlet, for those that just haven’t quite adapted to some of our modern technology. The Limited level is equipped with adaptive cruise control, collision warning, brake assist, and lane keep assist. These preventive measures help the driver maintain control of the 2019 Ford F-150. It also features creature comforts like SiriusXM satellite radio and the SYNC 3 infotainment system. The Platinum level trim is very similar to the Limited, with high-end technology and safety appointments. Among these are the Reverse Sensing System, 20-inch wheels, rain sensing wipers, heated steering wheel, and aluminum interior trim. The Raptor, however, is the highest level trim and where you see Ford’s biggest and best offerings, both on the interior and under the hood. It has all the extra interior features of the previous trim levels, plus more. It features LED exterior lights, a removable tailgate, hill descent control, and a WiFi hotspot, just to name a few. This trim level also features the powerful twin-turbo V6 engine. Even though its name invokes a flesh-eating carnivore from the Cretaceous period, the 2019 Ford F-150 Raptor is anything but a dinosaur. The 2019 Ford F-150 received a five-star rating from the National Highway Transportation Safety Administration, its highest available rating. With all the potential hazards at work sites and off-road places Ford F-150 drivers like to go, that is reassuring news. While the lower trims are devoid of many of the high-tech safety features available in many automobiles today, they still have the five-star safety rating from the NHTSA. They don’t have all the frills but are still more than fine for work trucks. However, if you are looking for safety features available for your new 2019 Ford F-150, some of these will include front, side, and overhead airbags, designed to fully cushion any blow in the event of an accident; Stability control helps the driver maintain control of the truck on less than ideal road conditions, such as snow or dirt; Engine immobilizer turns the engine off after a wreck to minimize the chances of any explosions or adverse reactions from the engine after a crash. While the odds of that happening are only high in the movies, it never hurts to keep the engine off after a wreck. These are only a handful of the many safety features available on the many trims of the 2019 Ford F-150. 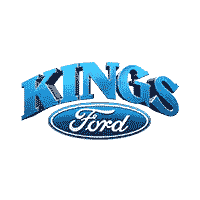 Visit Us at Kings Ford! The 2019 Ford F-150 offers seven different trim levels, each on multiple body styles, all with available safety, infotainment and other types of packages that can be added. When you start multiplying all those numbers together over and over again, it isn’t unthinkable that the 2019 Ford F-150 can be configured in a million possible ways. We’ll stay on the conservative end and say 500,000, though, just to be safe. Starting at only $28,155 MSRP, the 2019 Ford F-150 is certainly within the wheelhouse for the affordable truck. Obviously, as the trim levels go higher and the packages keep adding on, the price will go higher. You could end up paying double the MSRP for a fully loaded 2019 Ford F-150 Raptor, but, if you’ve got it, that truck would be worth it. Ford hasn’t done anything too outlandish to the newest F-150, but they didn’t have to. 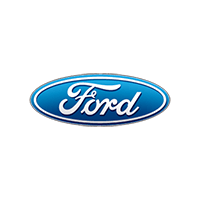 Ford knows they have a solid, dependable pickup truck that has served dedicated Ford owners well for decades. The 2019 Ford F-150 will do the same for new buyers and future generations of used buyers – nothing more and nothing less than what you would expect from such an iconic American truck. To see one of these iconic American vehicles, come down to King’s Ford in Cincinnati. Our sales staff is waiting for you!